Just get it over with and fire Turner and Smith. Let the rest of us and most importantly, your players, move on with their lives. In a season when the Chargers were televised in my location more times than they have won this year, it’s been an exercise in slow, painful torture watching the team crumble like grandma’s apple pie topping. Not only has Smith shown himself unable to hold on to the talent he finds, turning the Chargers into a development team for the rest of the league, but Turner’s play calling in recent games has gotten so conservative as to be stupid. You’d think he was worried about his job. Yes, it’s obvious he is. So dump both of these guys posthaste so the pressure is off and a new coach can get in the door, start assessing, and start changing players attitudes before we lose any more of that talent. This is my sad Chargers fan wish for the holidays. This letter is being sent to Santa next. A new coach in powder blues is high on my Xmas list, right under World Peace. I was shocked to see that someone doesn’t blame Norv Turner for the slow steady decline of this team since 14-2. In the spirit of fairness, and hey, to have a hearty laugh, read this dissenting opinion from a Turner apologist. This guy barely discussing the history of the team as a problem. Chargers over Jags (But on the other hand, this game should be a dead giveaway except for Turner-Smith). Can I say that Thursday Night games really screw with Fantasy picks in a way I didn’t expect. You have a high caliber player who’s coming off injury but you often won’t know until Sunday morning if he’ll play. Thursday night games, even if you don’t have a single player, kills your ability to make those adjustments. Learned a lot this season. Suffering a lot from my Chargers. But there’s always a chance. So much for picking the underdogs for Thanksgiving! Ah, well, at least the games were interesting, even if the only interest in the Detroit v Packers game was how late into the game Ndamukong Suh would be ejected from the game. Having said that, none of Sunday’s games look nearly as intriguing except for, perhaps, the Broncos v Chargers game. I’ve written enough this year about both teams but with the AFC West title up for grabs even with the AFC West looking anemic compared to the rest of the league, it’s still a key game. NFL Week 12: It’s Gravy! Thanksgiving is a day to reflect, give thanks, eat lots of coma-inducing food and…watch football! But this year we get three, count them three football games and oh yeah, each one has the potential to be knock the stuffing out of you! 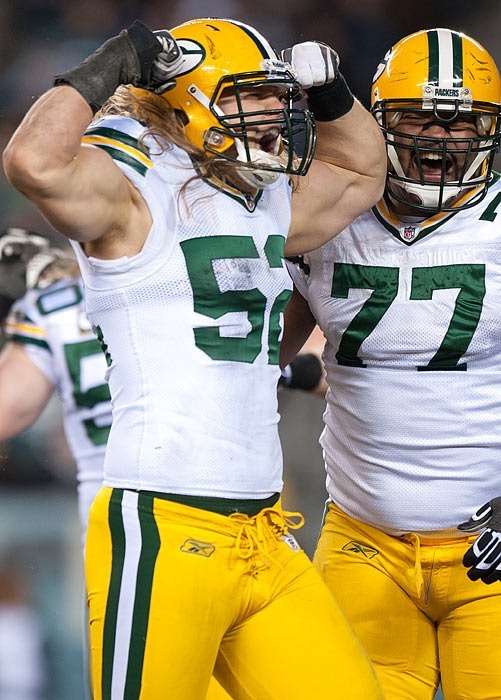 Packers versus Lions could be a match-up we see later in the playoffs…if the Lions can get healthy and focus on the game over schoolyard taunting. Dolphins versus Cowboys has the self proclaimed America’s Team versus what, on paper, should be a walkover team…except they are coming off three straight wins. And then there IS the gravy game, 49ers versus Ravens. Both teams factor in the playoffs. Both teams have fierce defenses. Both have oft questioned QBs. Lions-Romo-Ravens…oh my! Happy Thanksgiving to Me! Yup, no joke. There they are. Deal! No, time to go prep that bird that’s the word for the day, Turkey! 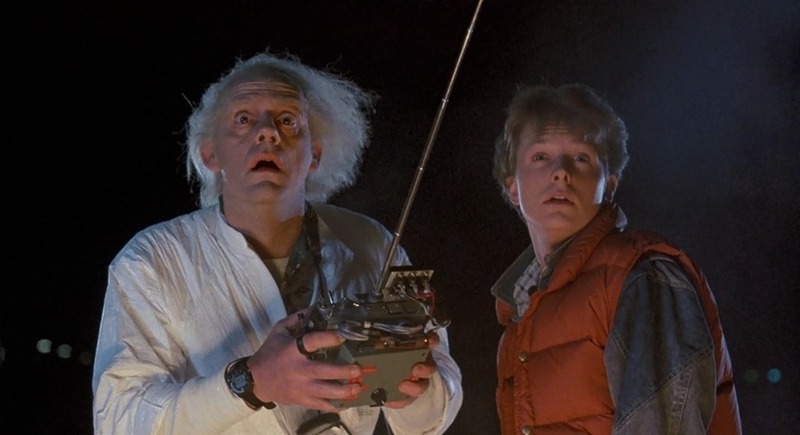 NFL Week 11: Back to the Future! Speaking of going backwards, what was up with the Ravens last week? Getting beaten…by the Sea-Chickens!? It’s not much help today that Ray Lewis is out. The Jets? Are you serious? Rex Ryan is defending his QB…who’s defending Ryan? 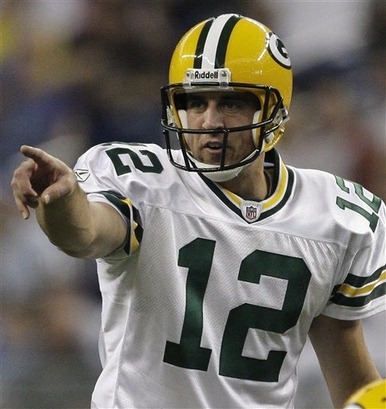 One thing that remains the same and gives us a very real view of the future…Aaron Rodgers and the Green Bay Packers. They are pulling last year’s championship and making a very strong statement that history will be repeating itself. Last week…fess up time….AWFUL. I mean it. 4 and pathetic. This week has already gotten started on the wrong wildcat foot. But that’s why they play the games. I’m marooned this week on Fantasy Island. I forgot there was a Thursday game and even so, I have so many injuries on my roster, that barring a trading frenzy, there is no hope for this week. It’s a wash. Sproles has a Bye, Maclin out, Green likely out. Yup, put a big ole fork in it, it’s done. Next up, Thanksgiving blitz! Turkey Day, Mashers, Family home with the new TV. Saaaaa-WEET!! Did you remember to set your alarm? You ready to show up? If so, somebody wake up Hicks. It’s time to play! And while you’re at it, wake up Grossman and whomever is the backup for DeShawn Jackson. Lots of interesting games today to make up for the not-very-interesting implosion in San Diego. Will Tebow continue to confound the pundits? Will the 49ers live up to their coach’s moxie? Will Belichick and Brady shake off the embarrassment and get it going? Are the Lions and the Bills healthy enough to stay for real? And who’s ready to step up for those wild card slots? Last week was a rough one for my picks, down from the previous weeks 11- 2 to a mediocre 6 – 8. So despite the loss in SD, I picked up decent points on Thurs night from Rivers-Gates. What has become increasingly clear, even to the writers of the USA Network show Psych, is that Darren Sproles is a master class player and my belief in him is warranted. Oh yeah! I’m looking for another master class day from the lil guy. Don’t need a psychic for that! So I’m not going to sugar-coat it: The Chargers are having a bad stretch. Fortunately, just about everyone else in the AFC West is too. Raiders losing to Tebow, Chiefs losing to winless Miami, and the Chargers muffing yet another comeback to the championship, lossless Packers. What does a division have to do to get some respect! Um, win, guys. Yeah. Win. Is there something wrong with Rivers who can’t seem to get out of his own way and throw the Hail Mary like he used to? Is Carson Palmer an inspiring leader as he was in Cincinnati? 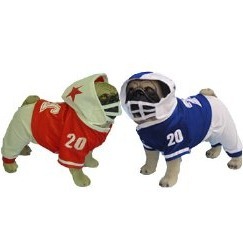 Is anybody in the NFL really going to care about this game besides So. Cal? I don’t know what anyone is saying about tonight’s game and I don’t really care. And if you’ve followed my picks at all you know that I never pick against my team. Still….it doesn’t mean I won’t spill a little salt over my shoulder and rub that rabbit’s foot for Rivers to get his groove back. Gates, I think that might mean you! Chargers over Raiders. ‘Nuff said! So this week I’m celebrating a whole new TV setup featuring high definition broadcast of the NFL. It won’t take the sting of The Snap away, but will add the Oooh and Ahhhh of crisp, clear, pretty visuals so good, the NFL should be calling me to do the booth review. Who else is looking HD at this point in the season? The Packers. Week in and week out, they are doing exactly what they need to do to win games with not much talk and not much fuss. And yes, I am afraid for my Chargers, coming off a truly scary MNF, and looking so much opposite to composed and professional. In looking at the rest of the league, there are a few teams aspiring to play high definition ball. Steelers, Giants, Ravens, Lions, Bills….all making a claim on HDTV ready. Then there are the teams just struggling with RCA. Dolphins, Rams, Colts, Broncos, Cardinals….wait, maybe there’s more of that then not. As we drive into November, early injuries are starting to heal up and teams forced to make big re-adjustments are settling into those adjustments. The Chiefs could lead a clinic on that. But of those new game plans, which team can keep their personnel healthy and focused, they will get the vaunted homefield advantage which, this year, is looking key to success in the playoffs. Last week was a painful 11-2, one of those losses being the MNF debacle. No way I’m picking against my Chargers but the Clay Matthews commercial has me wishing Philip Rivers ate his Wheaties this AM. Chargers over Packers, Yeah, Wishful Thinking! Two weeks with BYE players and crap performances and I matched up against teams tended about as well as the Colts. I’m not complaining but not celebrating since the cornerstone of my fantasy team is the Rivers-Gates combo. This week, Jahvid Best has a Bye and so I’m forced to play John Kuhn from the Pack. Talk about borrowing from Paul to pay Peter. Feeling very vulnerable in my number 4 position. But we’ll just see what my receiving core of Green, Sproles, and Maclin can deliver. 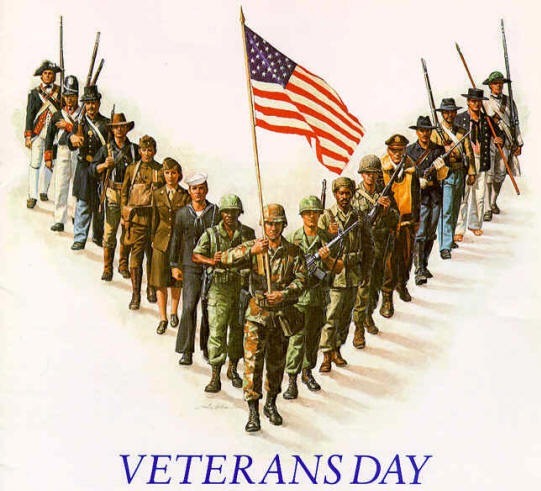 Happy Veteran’s Day, everyone! God Bless America and the NFL! If you wanted to make a cannibal jack o-lantern in time for Halloween Monday night, you still have time. But if you’ve been listening to team covering, you can already see teams eating themselves in lots of different ways. Players questioning coaches, media questioning players, and fans questioning everyone. It must been it’s October and what a wild ride it’s been already. Let’s sum up: Tebow made the amazing comeback that all Broncos fans had been hoping for. The Saints proved that they can make a bad team look a whole lot worse. And the Chargers proved that they are truly getting so desperate, they’ll risk a player’s health. This week, it’s time for the contenders to start asserting their ranking in the hierarchy. Romo versus Vick, Brady versus Roethlisberger, Rivers versus Cassell. Um, ok, we know it’s not all about the quarterbacks, at least in the way we think. Is Flacco costing the Ravens wins? Is Romo worth the risk? 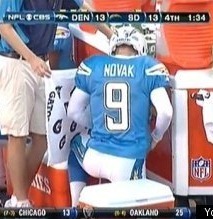 What the heck is wrong with Philip Rivers anyway? And will Stafford really play? Me? I’m wondering just how bad the New England Defense still is despite retooling by arguable the best strategist currently in the game. I’m wondering whether the Jags area sleeping giant or just hit a lucky note. I’m wondering if an injured Romo will be able to keep mistake free over a wily Vick. And most importantly, I’m wondering if Norv Turner has lost his mind. After hearing the news about Dielman’s seizure on the plane ride home, coupled with the jabs with Rex Ryan and the whispers about a Rivers injury, Turner is starting to look like a desperate coach. I always thought of him as soft on the players so never worried whether the environment there would push players too far to play hurt. Given, players will do whatever they can to stay out on the field but the coaching staff has to manage their investment in the entire NFL season. We hear about Dielman because he’s a marque player. What else is going on down there? I have to be honest: Playing the KC Chiefs in Kansas City on Monday Night Football, televised nationwide for everyone to see, on Halloween, with all these mounting injuries?? Dude, that has me terrified. But the new 46’’ 3D LED TV will ensure I see every play in detail. Oh boy! But just like every single game a Charger fan goes through, I’ll be there. Bring it on! So I got quite a bump up last week by winning my heads-up. Now, that sounds much better than it was. My opponent apparently isn’t actively managing his team with 4 guys on BYE weeks. Ah, the shame! But I’ll take the win and move on, as if the Chargers just played the Colts. I’m in trouble this week big time, playing a player with tons of talent. My defense is on a BYE week as well as my kicker. And both of my running backs are out. I’ll live and die by Rivers and Gates this week. One thing that will be enjoyable to watch? Sproles lightening it up this week, as every week. Love the little guy! Go Sproles!! For all those Bronco fans that think today will be the second coming and that Tim Tebow will deliver them from the evil of the pit of the AFC West, I certainly hope you get what you are praying for. 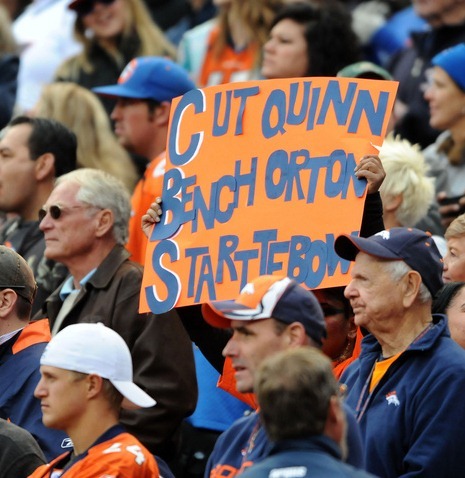 Problem is the quarterback position isn’t the end of the Broncos woes. I’ve been hearing those extol the virtues of the Tebow, that he’s a “winner.” But this isn’t baseball, kids, and if you want to be a winner in the NFL, you have to start and finish the game on top. Maybe Tebow will feel somewhat comfortable back in Florida for his lead off. Maybe it’ll help having some potential Gators fans circling around. But then again, you ARE playing the Dolphins. Whatever happens today, I’m sure even if he has a mediocre game, most outlets will drain this news item until its sucked dry. I’m still shaking my head at Goodell’s miss by NOT fining Schwartz and Harbaugh for their kerfuffle on the field after the game. If you can fine a linesman for taking his mic off, you’d better fine the top dogs of the team for unsportsmanlike conduct. But perhaps, he’s got something else in mind. Speaking of coaches misbehaving, would someone tell both Rex Ryan and Norv Turner that neither one of their butts have a ring? Meanwhile, Marty Schottenheimer shakes is head and wonders what a coach has to do to keep his job. Apparently, blow a lot of hot air. Last week was a return to form with a great 10 – 3 showing. This week, I’m not near as confident as a lot of the fringe teams are at it against each other. The Bye was almost the Bye Bye week for me. I had a decent showing considering. But like a lot of head to head match-ups I’ve seen this year, I wind up hitting a player who’s team goes off during our match-up. So I’m circling the drain and hoping that Philip and Antonio can both play and also keep me from being buried. With Jahvid Best out and no really good option left, it’s going to have to be Rivers and Gates best week to save my pigskin.